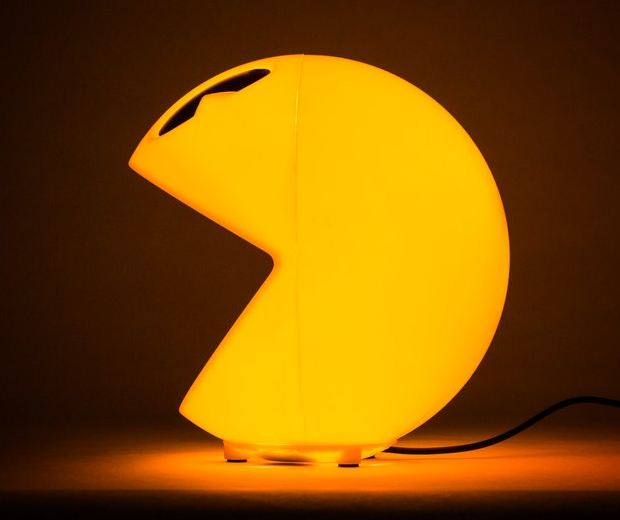 This officially licensed Pac-Man lamp is a fine addition to the bedroom of any man or woman who wishes to stay pure and virginal for an extended period of time. 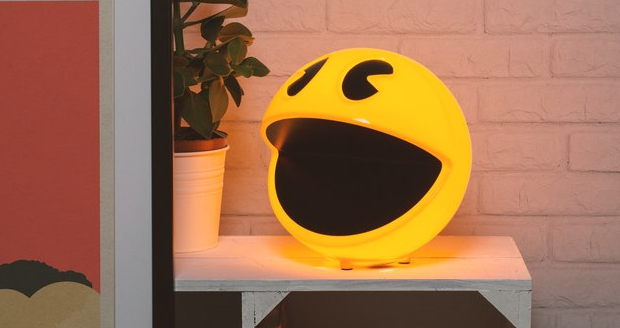 The lamp comes with a remote control that allows you to dim old Pac for a little mood lighting, but the real fun is to be had with his 12 built in sound effects. 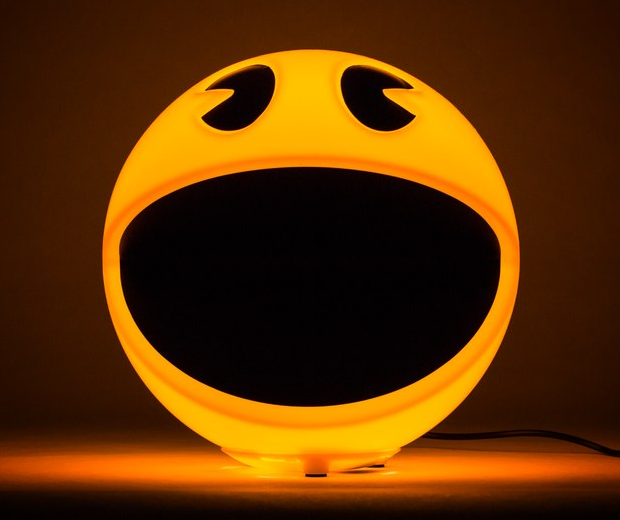 That WakkaWakka noise and Pac-Man's death rattle are two notable ones, but my favourite sound effect is when Pac-Man goes on a half hour rant about the AIDS epidemic which threatened to engulf the world during the 80's. I think it comes from a Mrs Pac-Man Easter Egg.